Mali Kambandu is the Kalemba Short Story Prize 2018 winner for her short story The Hand To Hold. After a process that has been going on for months, the inaugural Kalemba Short Story Prize has a winner. After a longlist announced on February 28 and a shortlist on March 27, the literary glory and US$1,000 prize money goes to Lusaka based Mali Kambandu. 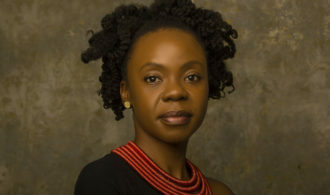 Kambandu had a stint writing screenplays in the US before returning to Zambia. She has written short films, documentaries and feature films, including Ulendo wa Rose, Old-time Love, Long-time Love and The President’s Job Description. Her winning story centres around a middle class family whose fragile bond is threatened by the resurfacing of their former house maid. It weaves the themes of class, loyalty, sacrifice and love in contemporary Zambia. A graduate of the University of Huntingdon, Pennsylvania, Kambandu was exposed to literature from a very early age. “My parents encouraged me, my brother and three sisters to read and they bought us many books – classics and pop culture novels. At a young age, I read books my older sisters were reading – novels by Alice Walker and Toni Morrison, but my most cherished book is one I met in high school, To Kill A Mockingbird by Harper Lee.” she said. “Winning the prize is an honour and affirmation. The fact that it’s a Zambian award makes it so much more meaningful,” said Kambandu. She will be presented with the award at a special ceremony to be held in Lusaka next month. You can read the winning story here.